You will find here our invitation to you to join others in the hard but rewarding work of social action. What we do matters. Ours is a theology of engagement. We draw inspiration and truth from experiencing each other and the world around us. In doing so, we necessarily witness both the beauty and brokenness of our larger community and environment. Not everyone is suited for rolling paint or standing in a protest line, but there are many ways of engaging in this vital work: service, education, organizing, advocacy, lobbying and witness. UU Santa Fe congregants engage in all of these. You can too. Our social justices teams are guided by their Social Justice Covenant. These meetings are scheduled two to three times per year. They are a great opportunity to learn what initiatives we are committed to and how you can be part of UU Santa Fe's social justice work. Watch for details in the UU Santa Fe Weekly ENewsletter and/or the UU Santa Fe News and Events web page. 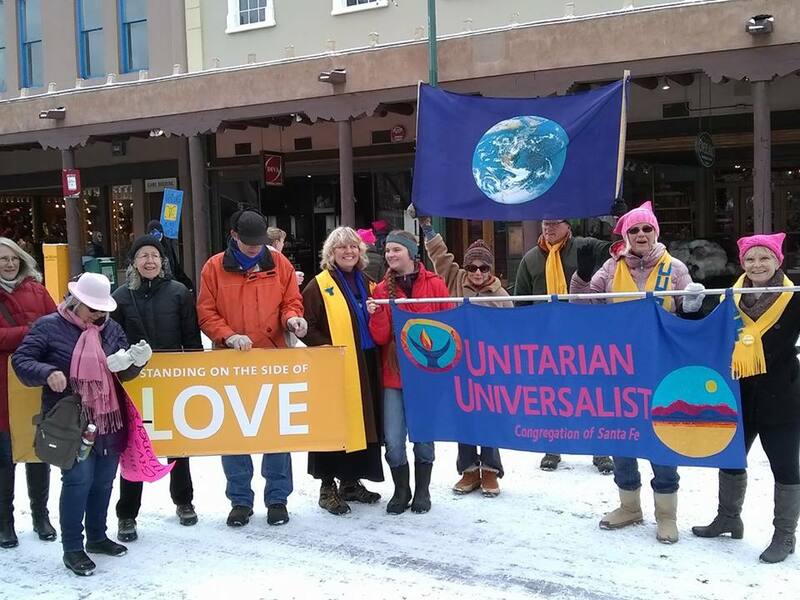 At the February 3 Special Meeting of UU Santa Fe, voting members approved UU Santa Fe becoming a signer as a congregation of the New Sanctuary Movement Pledge.